This luxury Android Wear-powered smartwatch can be purchased for $1,500 USD and uses three exclusive digital watch faces inspired by the design of the Carrera family of timepieces. 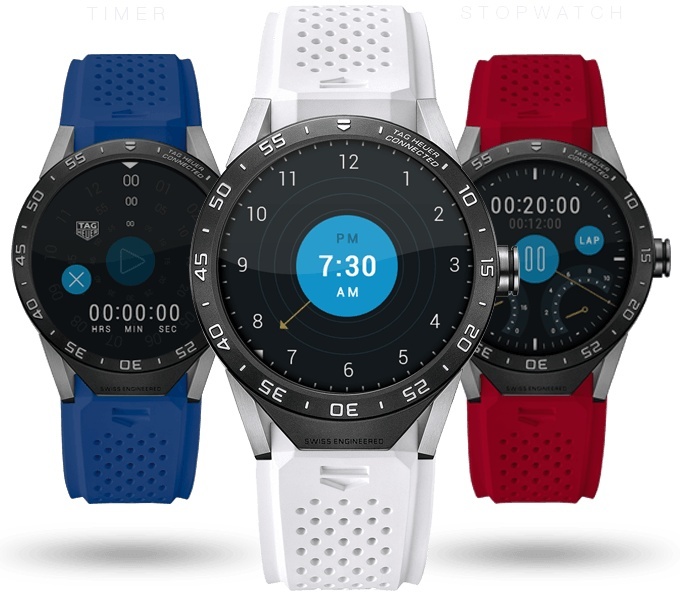 The Android Wear-powered luxury smartwatch that is the result of a team effort by TAG Heuer, Intel, and Google is the first of its kind. 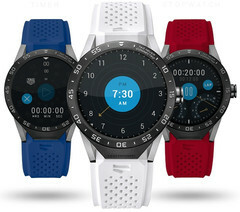 According to Intel's story on the matter, "The TAG Heuer Connected watch is the first luxury Swiss watch with Intel Inside® powered by Android Wear" that "harmonizes computing innovation with 150 years of watchmaking, timeless aesthetics and supreme quality." When they first announced it, the estimated price was $1,400 USD. After a while, official sources mentioned a higher price tag of $1,800 USD. Fortunately, the final product that has just reached the market costs $1,500 USD. Its specs include a 1.5-inch circular transflective LTPS LCD multitouch display with 360X360 pixels, a dual-core Intel Atom processor with 1 GB RAM and 4 GB internal storage, multiple sensors, Android 4.3+ and iOS 8.2+ compatibility, as well as Bluetooth 4.1 LE and WiFi 802.11 b/g/n connectivity. TAG Heuer Connected is powered by a 410 mAh battery that provides at least 25 hours of autonomy on a single charge. It weighs less than 0.12 pounds and has a Titanium Grade 2 case that offers IP67 protection from the elements. While the black bracelet version can be ordered online, all the other six colors can be found in retail stores that sell TAG Heuer watches.